Our vertically integrated company model is complete with our real estate division. 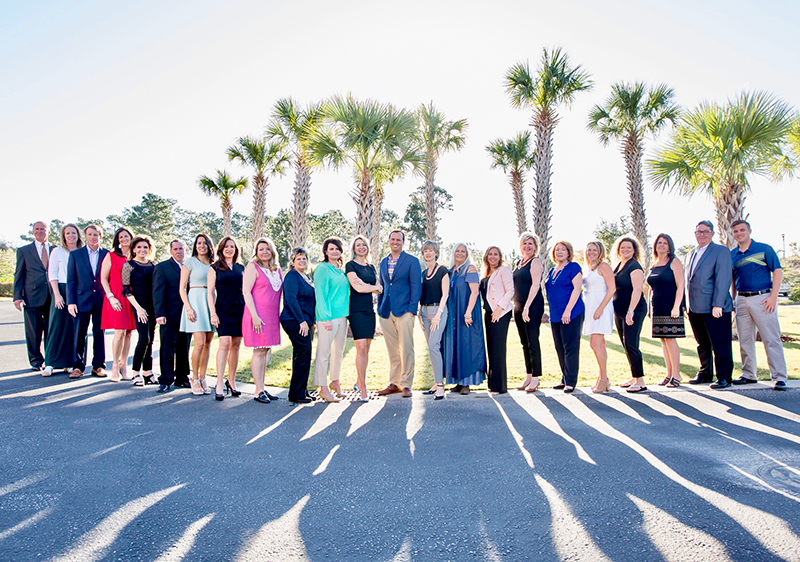 We've built a dynamic team of Myrtle Beach Real Estate Professionals with experience and knowledge in each area of the industry offering exceptional service to our clients whether they want to purchase a home, find land for a custom build, invest in a property, or sell their current home. Working directly with our home design and construction divisions allow our Realtors the advantage of providing accurate quotes on home remodels/additions, as well as true-to-life visual representations of how changes will look like before you even buy a home. Together our team can provide a peace of mind that your new home is just around the corner!. Our Real Estate Professionals have a solid presence in the market and a comprehensive knowledge of all local neighborhoods along the Grand Strand. If you have a home on the market or are looking to relocate, they can assist you in finding qualified buyers as well as tracking down the best listings. The Realtors at CRG Companies are also backed by our in-house marketing department. Dedicated to promoting our listings, we have an aggressive online presence that attracts visitors from around the globe. If you are selling, we can ensure your listing gets the exposure it needs to gain market attention. Our website is one of the highest-ranked on the Grand Strand and serves as a tool for buyers and sellers alike offering local resources, real estate information, and a customizable search with the most current properties. As part of a full-service construction and design firm, CRG's agents know the real estate world, from commercial to residential, lot development and more. Committed to helping both buyers and sellers, we can answer all your questions and design a range of unique marketing plans to reach your goals. If you have questions about one of our listings, or about our buyer and seller representation, please call us at (843) 651-8460 or fill out the contact form below.